[en] Peter Otto is a leading figure in the first generation of cross-over digital media technologists. He is deeply skilled in the language and aesthetics of media expression, and equally accomplished in cutting edge hardware/software design and engineering, including instrumentation and facilities design, systems and networking applications, and a wide array of media technology research and development areas. Classically trained in musical arts performance and composition, he completed his graduate work at California Institute of the Arts in Los Angeles in 1984, and continued on in a faculty appointment at that prestigious institution. His vitae includes long associations with seminal figures Morton Subotnick and Luciano Berio, as well as studies and many collaborations with Pulitzer Prize winners Mel Powell and Roger Reynolds. He currently holds appointments at UCSD as Technology Director/Faculty in Music and as Head of Research & Development in the newly established Sonic Arts program at UCSD’s CalIT2. As an educator he is a founding faculty member and advisor to UCSD Music’s highly regarded Interdisciplinary Computing and the Arts Major (ICAM), a program which has produced top performersin the nation’s most advanced digital media industries and leading universities. As a hardware designer he invented the first widely available digital audio workstation control surface (Waveframe’s Contact MIDI Panel), designed the spatialization system TRAILS, and designed experimental audio systems for CalIT2 (VR and other systems). Other design work includes advanced research projects in high-definition multichannel audio streaming and production systems, most notably for CineGrid. In software design, Otto has written software for diverse applications in multichannel and spatial audio, including binaural and multichannel sound design environments and utilities, and a variety of spatial audio imaging packages. An entrepreneur, he has founded two software companies and consulted for top tier firms in the private sector. His performance design work has been heard in major American and European venues such as Carnegie Hall, Juilliard, San Francisco, Los Angeles Philharmonic, SIGGRAPH, Holland Festival, Foundation Maecht (Fr. ), Santa Cecilia (Italy), Barbican and Royal Albert Halls (London), Ars Electronica (Austria), and many others. [pt] Peter Otto é uma figura de destaque na primeira geração de tecnólogos de mídia digital. Otto é profundamente especializado na linguagem e na estética da expressão da mídia e igualmente no campo do design de ponta na área de hardware/software, incluindo instrumentos e instalações de design, sistemas e aplicações de redes e uma grande variedade de tecnologias da mídia com foco na pesquisa e desenvolvimento. Classicamente treinado em artes musicais e composição, Otto completou sua pós-graduação no California Institute of the Arts, em Los Angeles (1984). Seu CV inclui longas associações com figuras seminais, tais como Morton Subotnick e Luciano Berio, bem como afiliações de estudos e colaborações com o vencedores do Prêmio Pulitzer, tais como Mel Powell e Roger Reynolds. Atualmente é professor na UCSD e atua como Diretor de Tecnologia na Faculdade de Música e como Chefe de Pesquisa e Desenvolvimento no programa Sonic Arts, recentemente criado no Calit2 da UCSD. 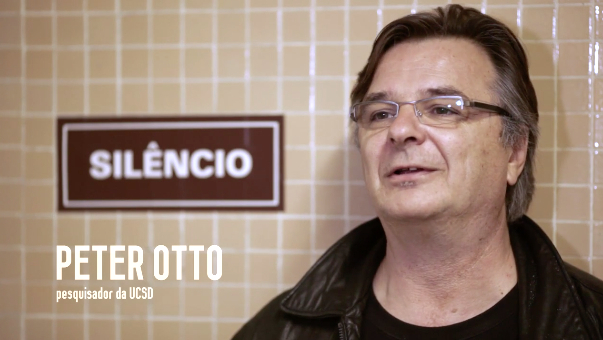 Como educador, Otto é membro do corpo docente, fundador e conselheiro do Depto. de Música da UCSD e do Interidisciplinary Computing and the Arts Major (ICAM), um programa que tem produzido top performers nas mais avançadas indústrias de mídia digital do país e nas principais universidades do redor do globo. Como designer de hardware, inventou a primeira superfície amplamente disponível de controle de áudio digital (MIDI Waveframe) e projetou sistemas de áudio experimentais para o Calit2. Outros trabalhos de design incluem projetos de pesquisa avançada em sistemas de streaming e de produção de áudio multicanais de alta definição, mais notadamente para os trabalhos do CineGrid. Como empresário, Otto fundou duas empresas de software e consultoria para empresas de primeira linha no setor privado. Seu trabalho tem sido ouvido em locais como Carnegie Hall, Juilliard, San Francisco, Los Angeles Philharmonic, SIGGRAPH, Holland Festival, Fundação Maecht (Fr. ), Santa Cecilia (Itália), Barbican e Royal Albert Hall (Londres), Ars Electronica (Áustria), e muitos outros.